Teaching truth. Loving well. Having fun. The nursery is staffed during all three service times on Sundays. 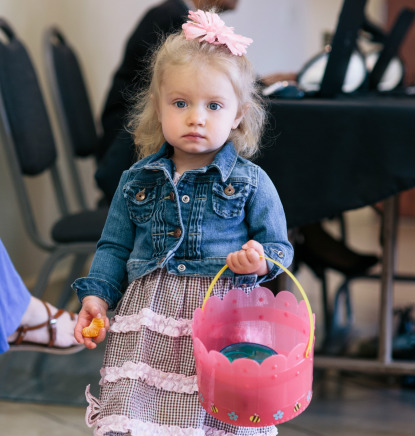 Children (Pre-K through 5th grade) remain in the sanctuary for family worship and then are released to experience an age appropriate and gospel-focused lesson through activities, songs, videos, and crafts. 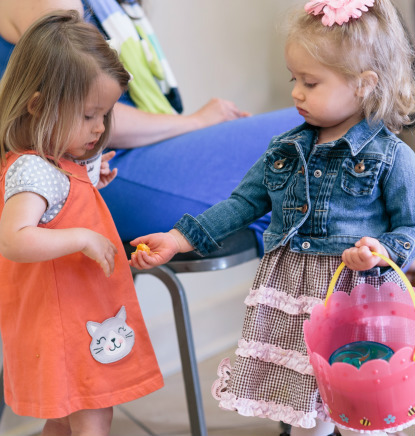 Children ages 4-5 will LOVE learning through play and activities about our three basic truths: God made me; God love me; Jesus wants to be my friend forever! Our Kindergarteners through 5th graders gather together for a dynamic worship experience where they will sing, dance, learn gospel-centered lessons from our dynamic teaching teams, and then apply these lessons in engaging ways with their small group leaders. If you would like more information, please click here to contact Stephanie Broach, our Children's Pastor.